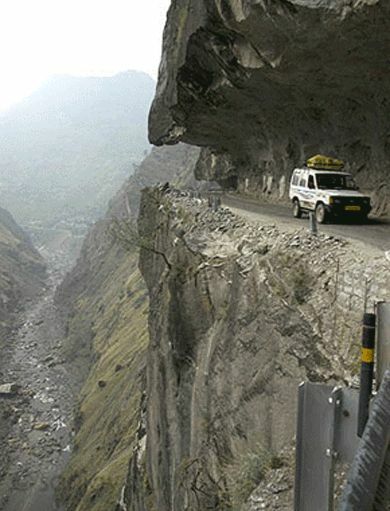 7 TOP DANGEROUS ROADS IN INDIA. . . Some of the roads are literally labeled as “Highway To Hell”. 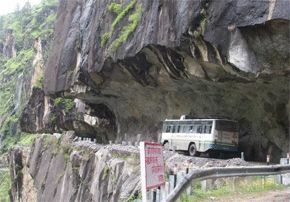 Zoji La Pass is easily India’s one of the most dangerous road to drive on. This pass is located at the altitude of 3538 meters and is covered is snow for most of the months while it gets extremely muddy during rainy season. It often becomes impassable during this season. This pass comes on the way while travelling on Srinagar-Leh Highway. Heavy snowfall, landslides, violent winds are all very common here. However best time to travel on this route is from April to August. This road has been built by craving rocks which actually makes it narrow and very difficult to drive on. 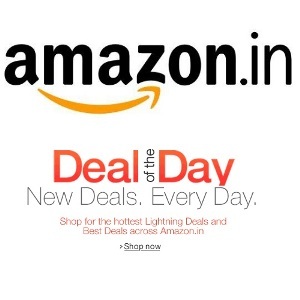 It is located in the south-western part of Himachal Pradesh. The road has quite a few sharp turns and not much space for vehicles coming from both the sides to pass easily. 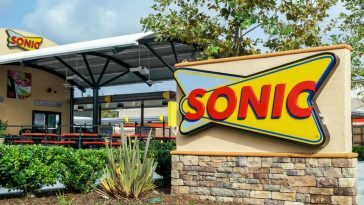 There are so many accidents that have been reported from this area every year. Rohtang Pass is at the distance of about 53 kms from Manali and comes on Leh-Manali Highway. This highway connects Kullu Valley to Lahaul Valley and Spiti Valley. It is at the height of 3979 meters. Rohtang itself means “Ground of Corpses” and the valley literally is that dangerous. There are frequent traffic jams over here and normally stays open from May to November. The valley experiences heavy snowfall, constant landslide and gets slushy during the rainy season. This pass connects Sikkim with China and is one of trade link between China and India. However, the pass is very dangerous since because it experiences heavy snowfalls and gets extremely muddy during Monsoon. There are frequent landslides which can get risky. This pass is located at 4310 meters and the height also makes it difficult to access. It is the highest motorable pass in the world and is located at the height of about 5602 meters. The road connects Leh to Kashgar which is located in China. The road is extremely scary and dangerous; also the air is very thin and can need getting accustoming too. Nowadays many motorbike riders choose this road to reach Ladakh since it provides an adrenalin rush. 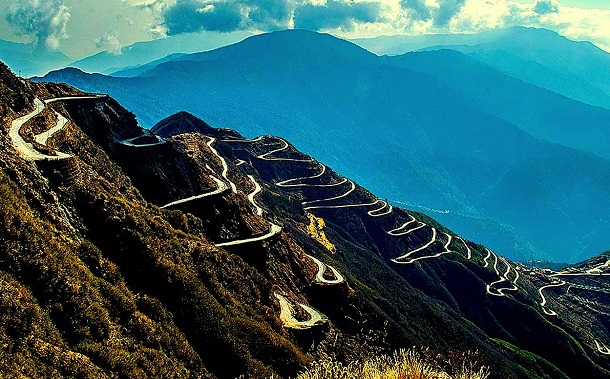 This road is in Sikkim and would definitely provide you with amazing views of Himalayas. The roads are very curvy and most people experience motion sickness over here. 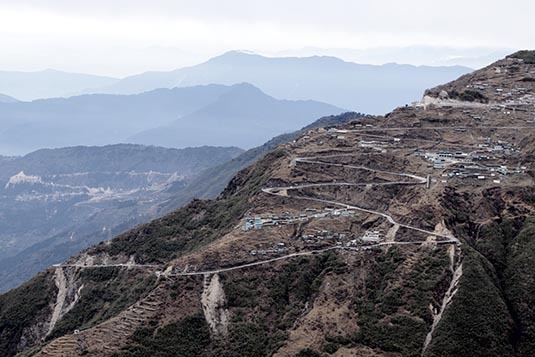 This road is not for faint-hearted since it is located at the height of 11,200 feet and includes approximately 100 hairpins in the span of 30 kms. 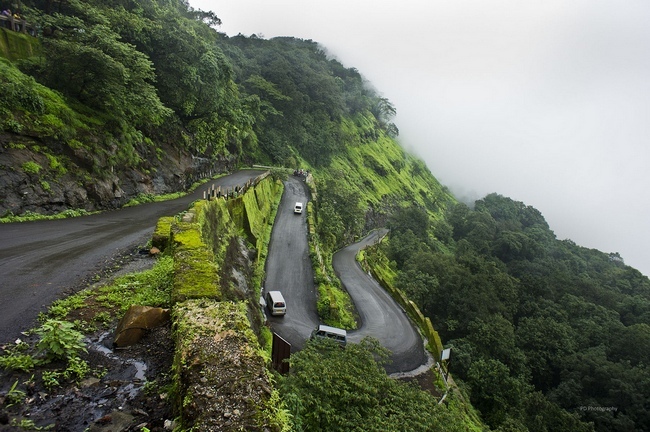 Neral-Matheran Road is a very steep road located in Raigad, Maharashtra. The road conditions are extreme and pathetic plus have very steep turns. It can test the patience of most of the drivers. Many accidents take place here and many travellers experience motion sickness too.